More than 50 people were killed as rains coupled with thunderstorm and lightning hit several parts of Rajasthan, Madhya Pradesh, Gujarat and Maharashtra overnight, officials said on Wednesday. The unseasonal rains and storm also caused damage to property and crops in Gujarat and Rajasthan. Rajasthan witnessed the maximum casualties with 25 people killed in rain-related incidents following by Madhya Pradesh where 15 were killed. While 10 people were killed in Gujarat, three were killed in Maharashtra. Prime Minister Narendra Modi took to Twitter in the morning to express anguish over the loss of lives in the rains in Gujarat and announce relief. 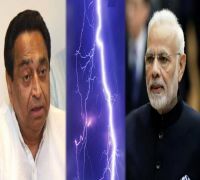 Soon afterwards Madhya Pradesh Chief Minister Kamal Nath hit out at the prime minister, accusing him of being concerned only about his home state Gujarat. The PMO in a tweet later said, "PM @narendramodi has expressed grief at loss of lives due to unseasonal rains and storms in MP, Rajasthan, Manipur & various parts of the country." Union Home Minister Rajnath Singh said the government is closely monitoring the situation in rain-hit areas and is ready to provide all possible help to states affected by rains and thunderstorm. Rajasthan Disaster Management Minister Master Bhanwar Lal Meghwal said 25 people died due to unseasonal rains in the state. Compensation of Rs 4 lakh each has been announced by the Rajasthan government to the families of victims. Another official said crops have suffered damage and the assessment is being done. Several cattle were also killed in rain-related incidents. Rajasthan Chief minister Ashok Gehlot condoled the deaths and directed officials to carry out survey of losses and damaged caused due to the rough weather. "Farmers have suffered losses due to the rains and storm and it is a matter of concern. I asked the chief secretary yesterday (Tuesday) to get the survey of losses conducted immediately so that compensation could be given on time," Gehlot told reporters on Wednesday. Rajasthan Relief Secretary Ashutosh AT Pednekar informed that 21 of the 25 deaths occurred in Jhalawar, Udaipur, Jaipur (four each), Jalore, Bundi (two each), Baran, Rajsamand, Bhilwara, Alwar and Hanumangarh (one each). Heavy dust storm accompanied by moderate to heavy rains, thundershowers also lashed parts of Hadouti region (Kota division) on Tuesday causing damage to crops. 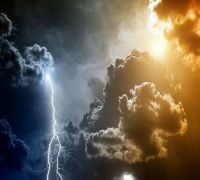 The MeT Department has predicted dust storm/thunderstorm accompanied with high velocity winds and lightning at a few places during the next 24 hours. Widespread rainfall accompanied by high-velocity winds lashed vast swathes of Punjab and Haryana also, causing damage to crops. Expressing concern over the crop losses, Punjab Chief Minister Amarinder Singh ordered urgent steps to ascertain the extent of the damage to crops so that due compensation could be awarded to the affected farmers at the earliest. 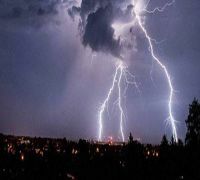 Officials in Bhopal said unseasonal rain accompanied by thunderstorm and lightning hit various parts of Madhya Pradesh, leaving 15 people dead and injuring some others. The BJP hit back, accusing Nath of doing politics over the loss caused by rains and storm. BJP media head and Rajya Sabha MP Anil Baluni said in Delhi that Nath is well aware of the procedure that the state government has to first inform the Centre about the damage in such a natural tragedy to get relief but instead of doing so, he was tweeting and doing politics. In Ahmedabad, Gujarat government's Director of Relief G B Manglpara told PTI that at least 10 people have died in the rain and dust storm reported from various areas, including districts in North Gujarat and Saurashtra region. Also, a portion of a tent erected for Modi's rally in Himmatnagar town of North Gujarat was also damaged in the dust storm, an official had said. Gujarat Chief Minister Vijay Rupani announced an aid of Rs 2 lakh each to kin of the deceased in the western state. "While the prime minister has already announced ex-gratia of Rs 2 lakh, the Gujarat government will also give Rs 2 lakh to kin of those who lost their lives," Rupani told reporters in Dahod. "We will also conduct a survey to assess the damage to crops and pay accordingly to affected persons," he added. Apart from rain, the storm also resulted in hailstorm in some parts of Rajkot district of Saurashtra and Banaskantha district of north Gujarat.